It’s easy to get used to good things. It’s so easy that we don’t even think that life was possible without them at all. Like electricity, running water, internet, facebook and chocolate cake. 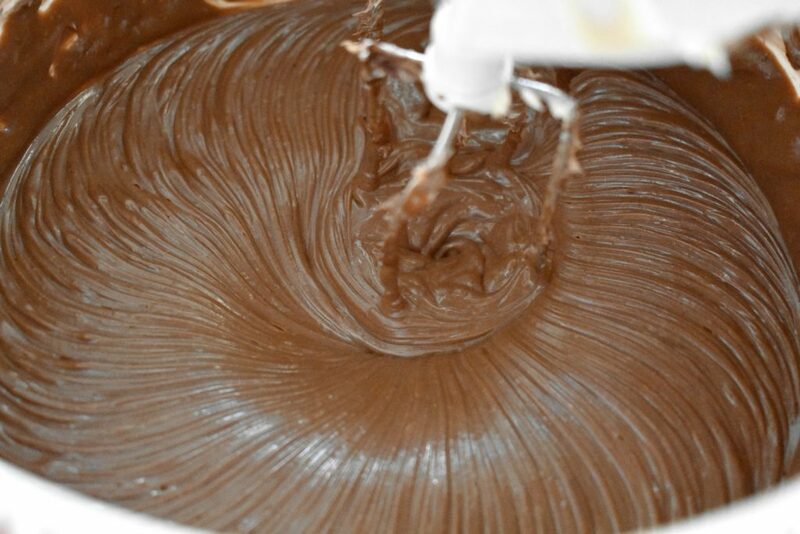 Chocolate cake is with us for some time but it wasn’t like this before a couple of really exciting people like Rodolphe LINDT found out how to make cocoa powder from the cocoa beans at the end of the XIX. century. 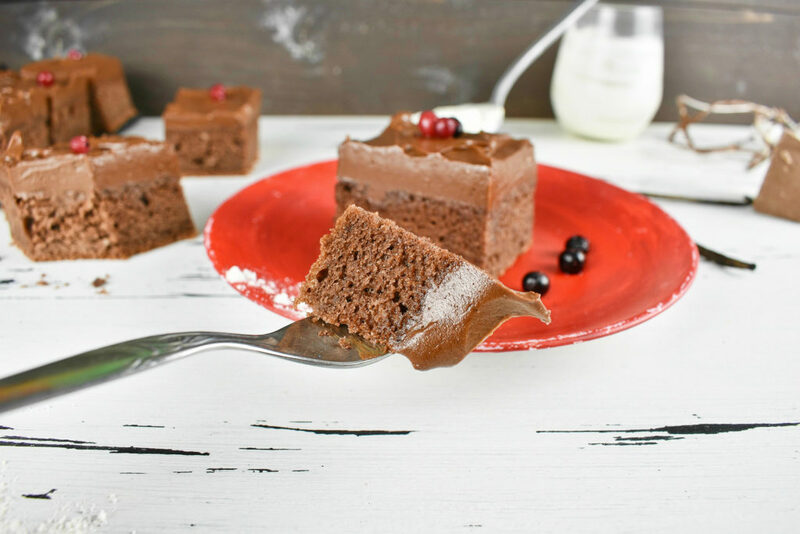 In 1886 some decadent cooks added the cocoa powder to the batter instead just using it as an icing or filling and voila the chocolate cake had been born. 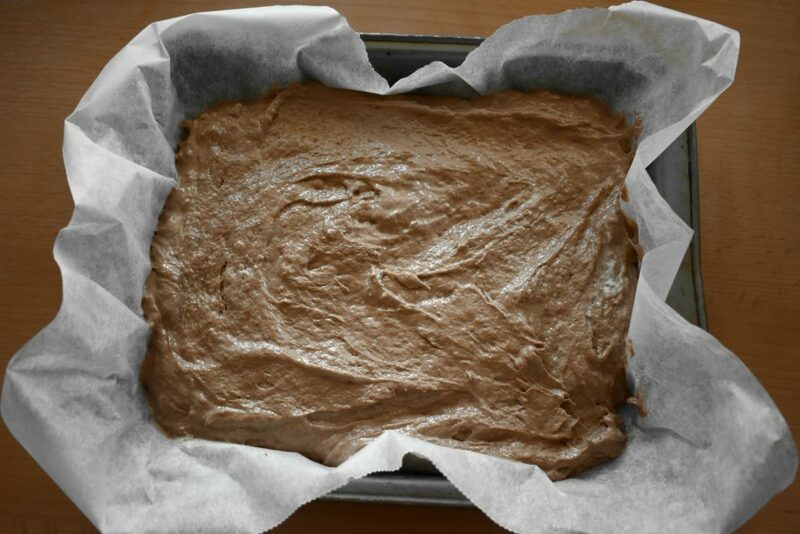 Since then various type of chocolate cakes have been invented by adding various layers and ingredients to the basic recipe. 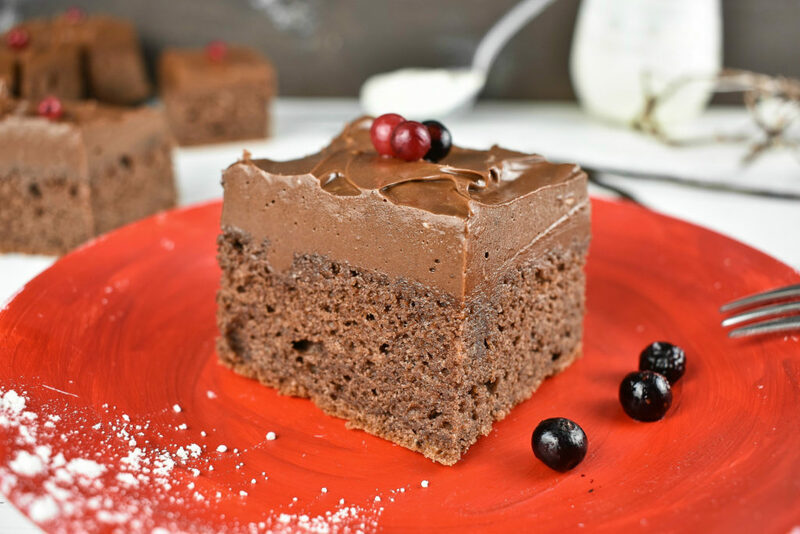 Finding the best chocolate cake or the original one giving it’s immense variety is an impossible feat as there isn’t any basic recipe carved into stone in a hidden cellar anywhere. 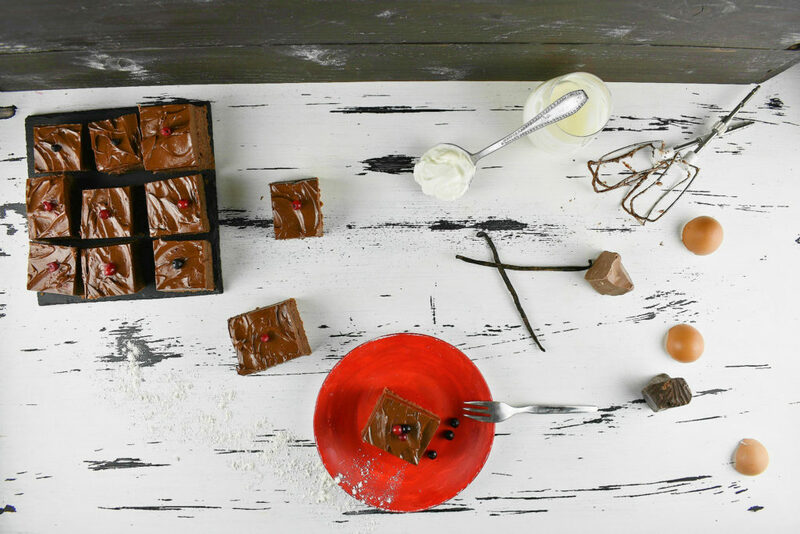 Chocolate cake is a maverick evolving continuously with our taste through the years. The best ever chocolate cake is thus is always the one we are having right now. Be it a German chocolate cake, Black Forest Cake or a Sacher-torte, we can’t go astray whichever is stuck on our dessert fork. The really decadent versions must be the moist chocolate cakes. These are not only made of chocolate but most of the time dripping chocolate as well. 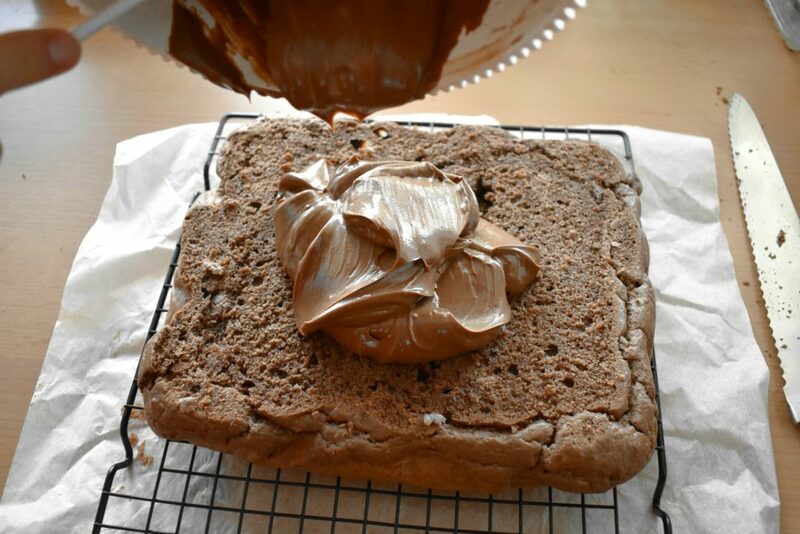 How mouthwatering is when we see the light breaking into million splinters on the surface of the moist spongy cake. We can go even further in our journey of shameless pleasures and add a thick layer of airy light cream to the base. It’s like biting into a duvet filled with chocolate feathers topped with a chocolate cloud. When it gets into our mouth just melts away immediately, like it was never existed leaving only the taste of the chocolate heaven behind. Various ingredients can be used to make the base moist but our favorite must be sour cream or even better creme fraiche. It provides a rich texture, splendid taste and moisture for the pastry to keep fresh for a couple of days. However, not one chocolate cake has ever survived that long in a family fridge. 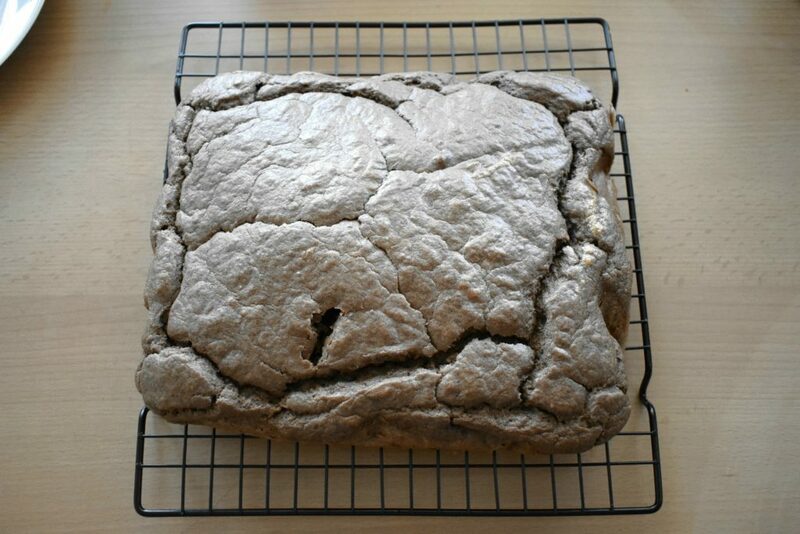 This is a sugar free chocolate cake recipe which uses stevia sweetener but as always it can be substituted with any sweetener of choice, preferably something natural as to stay as healthy as possible. Berries on top are there to feed the eyes which is big part of the experience, so adding some funky looking fruit on top will enhance the feeling big time. 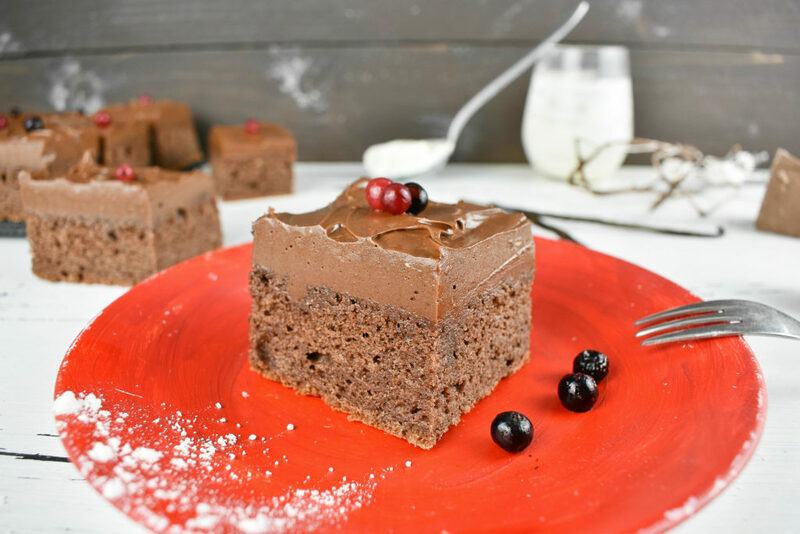 Fruits low on sugar like most berries are great companions for the chocolate cakes as they can provide contrast in taste with the sweet cake. 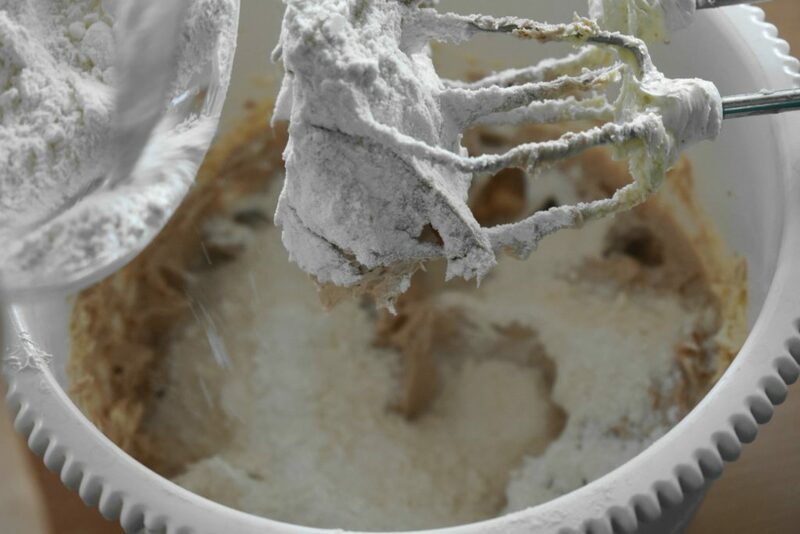 Measure and mix flour, baking powder into a medium size bowl. Put unsweetened cocoa powder and sweetener into a cup to mix. Pour boiling water into the cup and mix it with the cocoa powder. Do not leave any lump in it. Set it aside and wait until it cools down a bit. Meanwhile separate eggs. 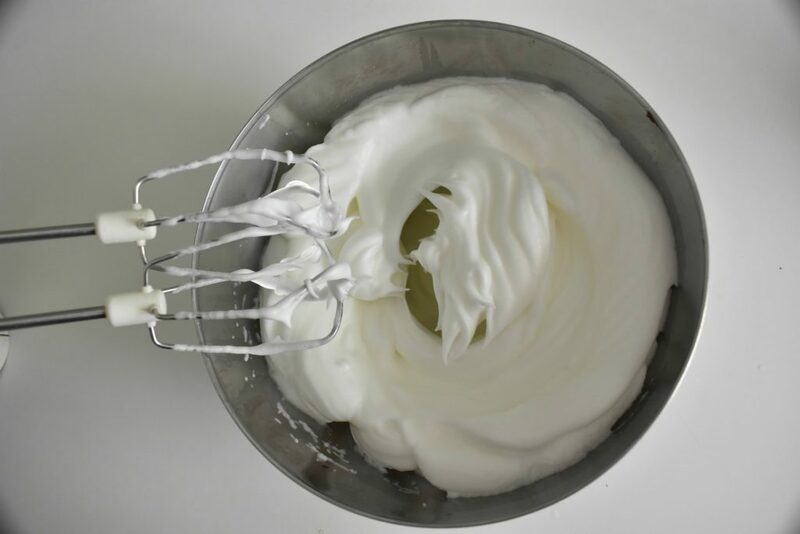 Put egg whites into a bowl where we can beat it until hard peaks form. 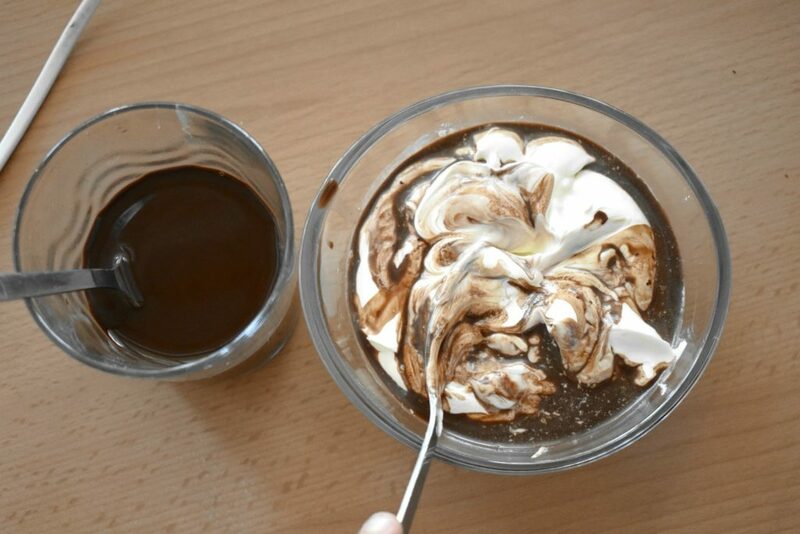 Pour sour cream into the lukewarm cocoa mixture. Mix to get an even, creamy texture. 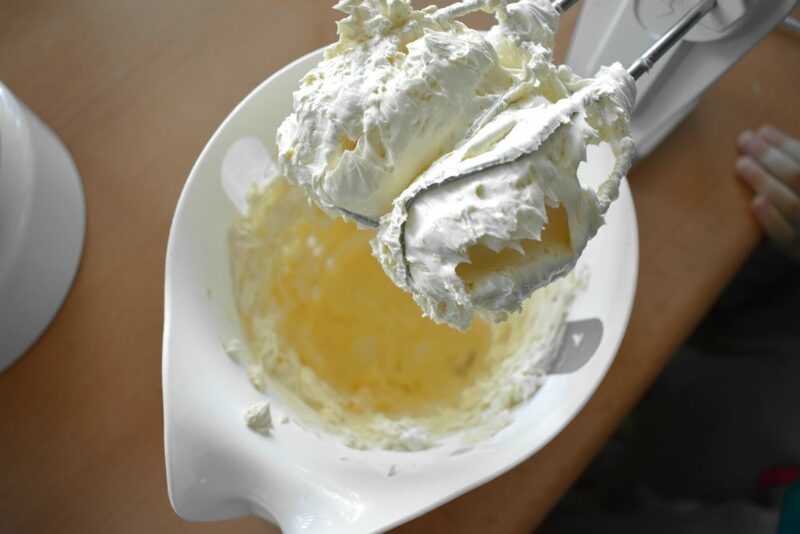 Slice butter and put it into a big mixing bowl to whisk until it becomes almost white and creamy. Put the yolks one by one into the creamy butter. Don’t stop whisking it. When all of the yolks are in the creamy butter, turn the mixer in low speed. 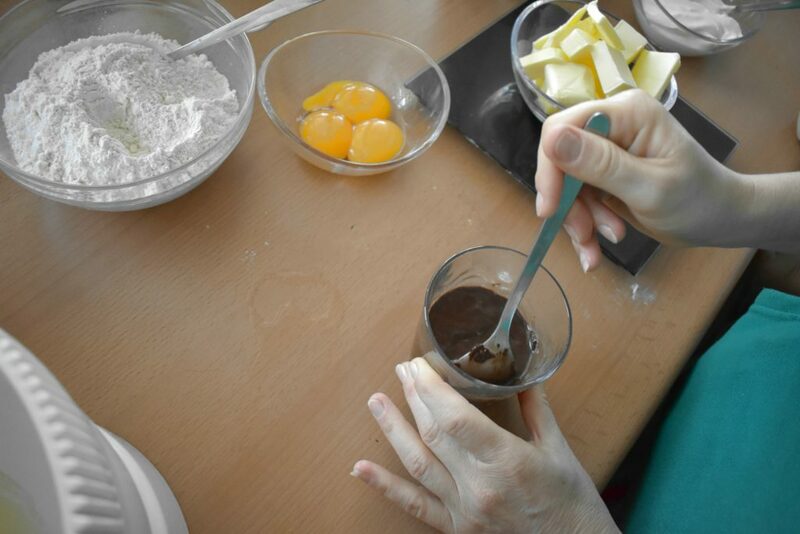 Add the flour and cocoa sour cream mixture in three addition alternating between them. Mix each addition just until incorporated completely. Carefully fold in egg whites. Until it gets a homogeneous texture. 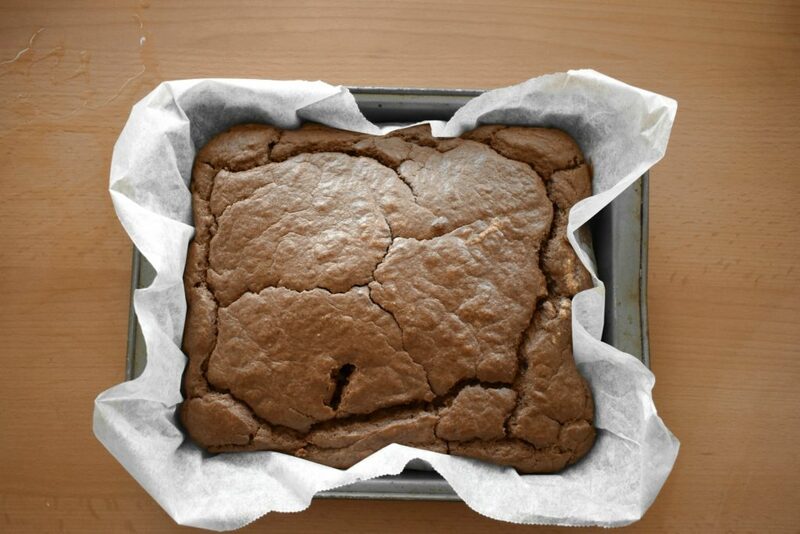 Pour batter into the prepared tray and place it into the preheated oven for 40 minutes to bake. Check with a toothpick if it’s baked. Take the tray out of the oven and insert the toothpick in the center. It has to come out clean if it’s properly baked. When it’s baked transfer the cake onto a wire rack and let it cool down completely. 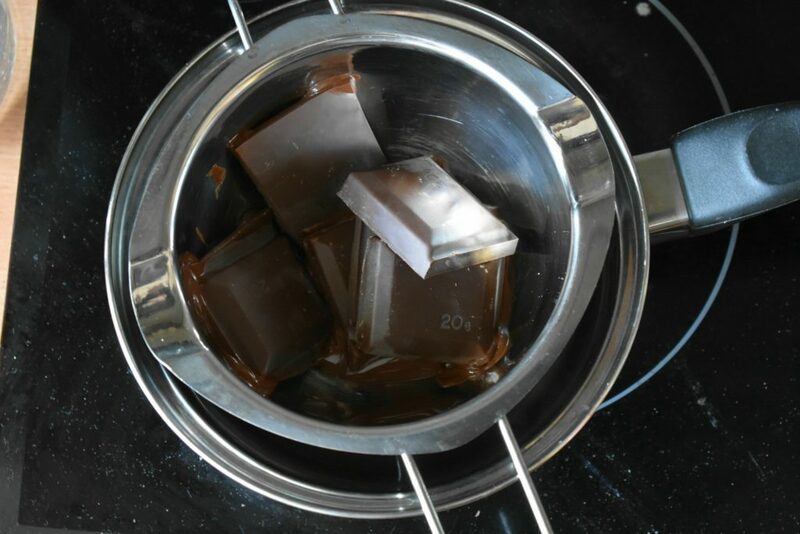 Break chocolate into pieces and place it into a small bowl to melt. Slice room temperature butter and put it into a mixing bowl. Whisk it for about 5-10 minutes to get a light yellow, soft and creamy texture. 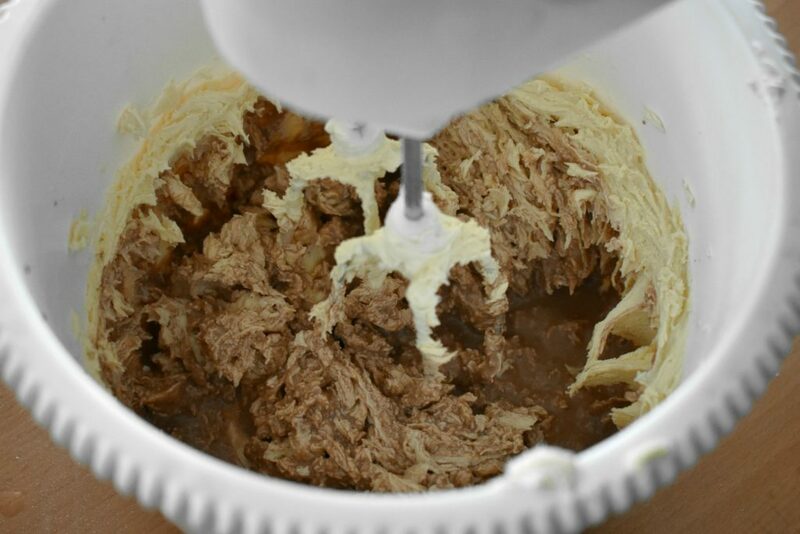 Put in stevia and cocoa powder and keep mixing until incorporated with the butter cream evenly. 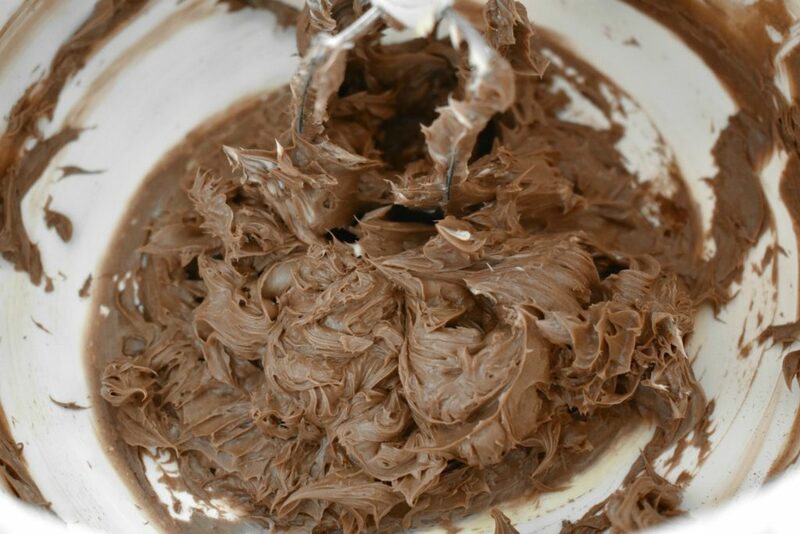 Beat heavy cream in a different bowl then add into the frosting. 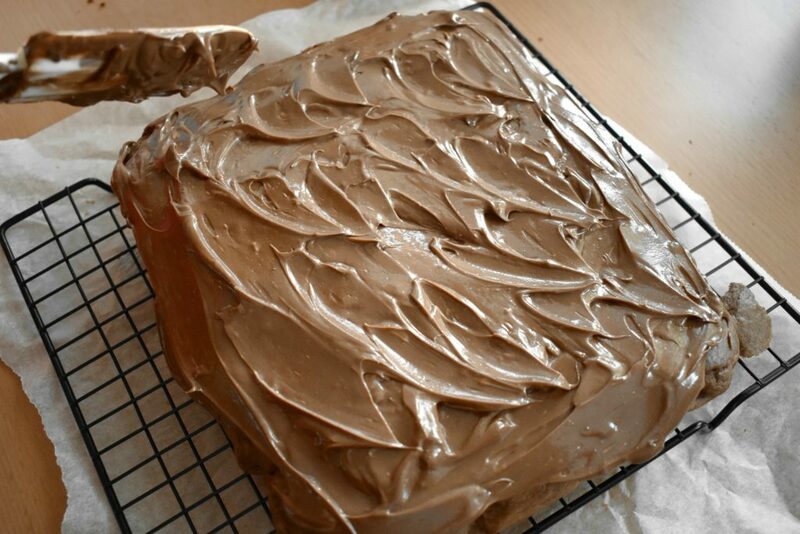 When the cake is cooled down completely we are able to spread the frosting on top. Once again, it has to be completely cool as if not it, would make the frosting with the butter and cream runny which would be quite sad after all of this hard work. If the cake’s top is not flat enough, it is an option to cut the top off and make it even so the cream on top would be spread out easier. Put some berries on top for decoration. Keep cake in the fridge and take slices out 20 minutes before serving to allow it to warm up to room temperature so the creamy topping would taste as it should. 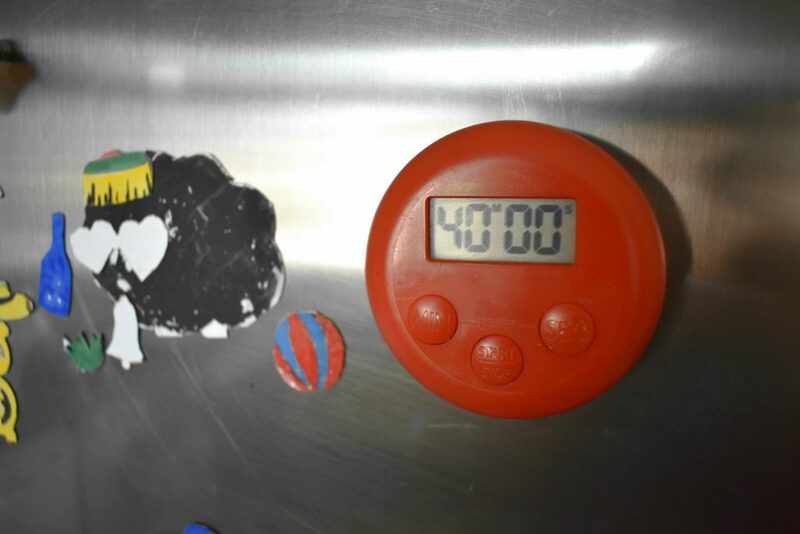 Optionally we can place a slice into the microwave for 10 – 15 seconds if we haven’t got time to waste. Pour sour cream into the lukewarm cocoa mixture. 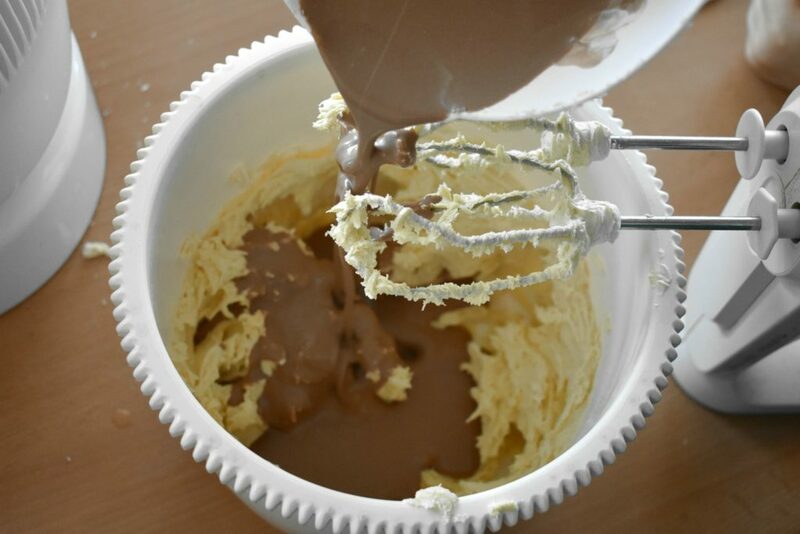 Mix to get an even creamy texture. Put the yolks one by one into the creamy butter. Don't stop whisking it. Check with a toothpick if it's baked. Take the tray out of the oven and insert the toothpick in the center. It has to come out clean if it's properly baked. When it's baked transfer the cake onto a wire rack and let it cool down completely. Slice room temperature of butter and put it into a mixing bowl. 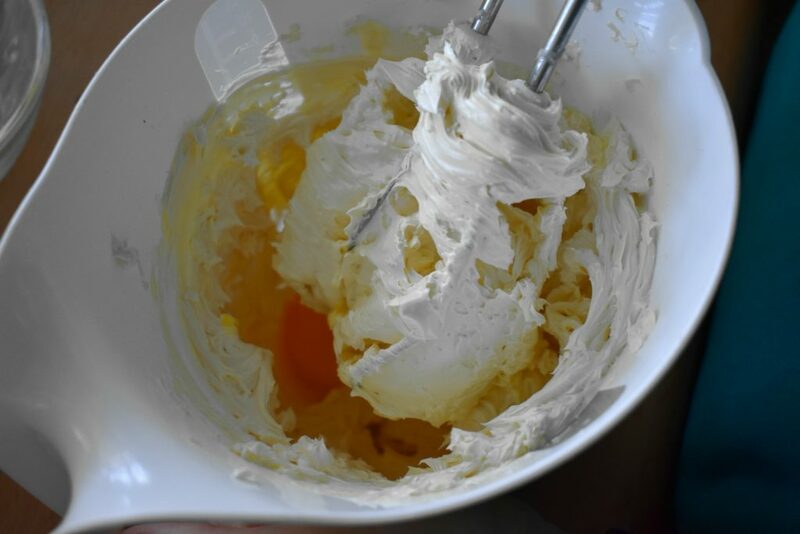 Whisk it for about 5-10 minutes to get a light yellow, soft and creamy texture. 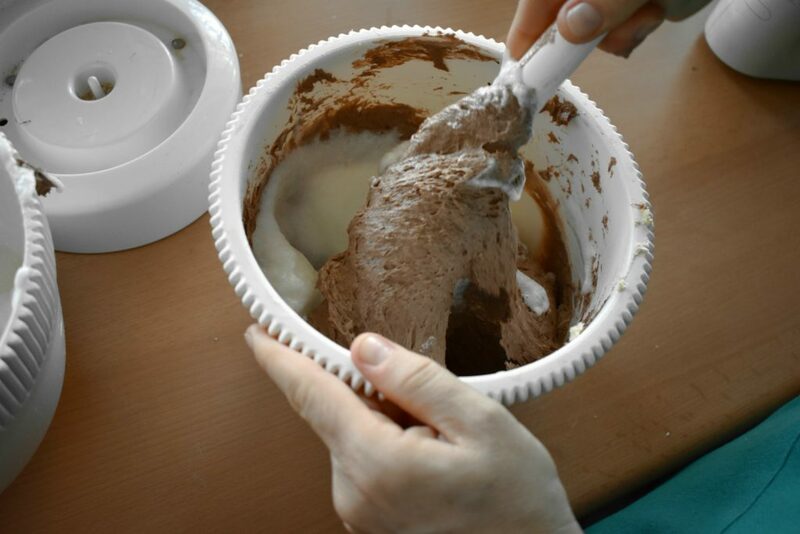 Put in stevia and cocoa powder and keep mixing until incorporated with the butter cream evenly. 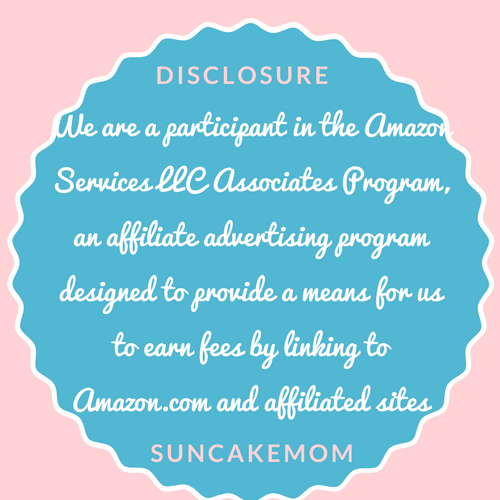 When the cake is cooled down completely we are able to spread the frosting on top. Once again, it has to be completely cool as if not it, would make the frosting with the butter and cream runny which would be quite sad after all of this hard work. If the cake's top is not flat enough, it is an option to cut the top off and make it even so the cream on top would be spread out easier. Keep cake in the fridge and take slices out 20 minutes before serving to allow it to warm up to room temperature so the creamy topping would taste as it should. Optionally we can place a slice into the microwave for 10 - 15 seconds if we haven't got time to waste. I think I will add this to my new cake ideas.